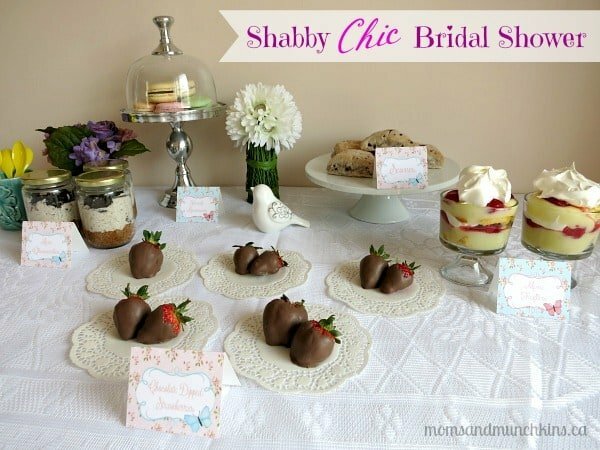 This Shabby Chic Bridal Shower is perfect for a bride that loves antiques, flowers and gardening. 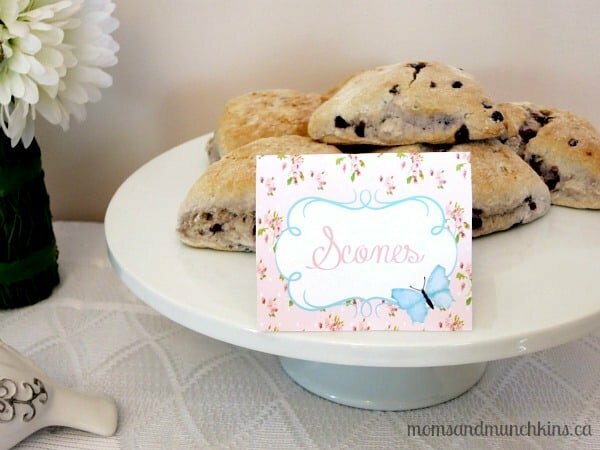 It is such a pretty and feminine theme for a bridal shower! A garden or backyard setting works well with this theme but if the weather is too cold you could also use a barn or greenhouse. 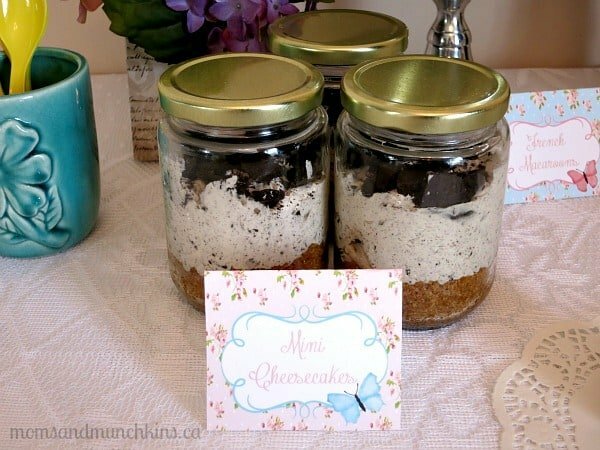 In this post I’ll provide ideas for invitations, decor, food and favors. All of the party printables featured here are by Just a Little Sparkle. 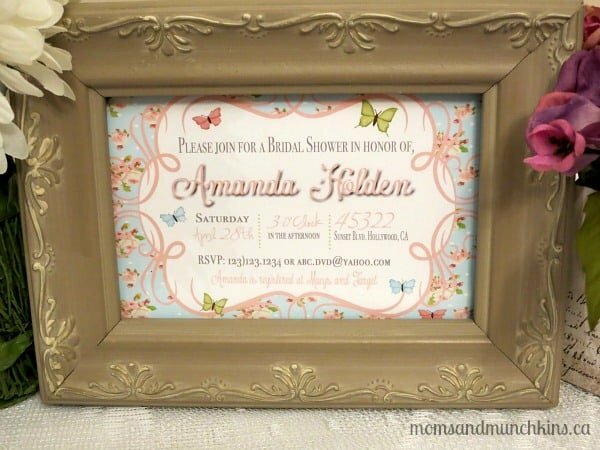 This pretty invitation can be placed in an envelope with dried flower petals and sealed with a butterfly stamp. This pretty invitation ties into the rest of the party decor (food tents, favor tags and banner). 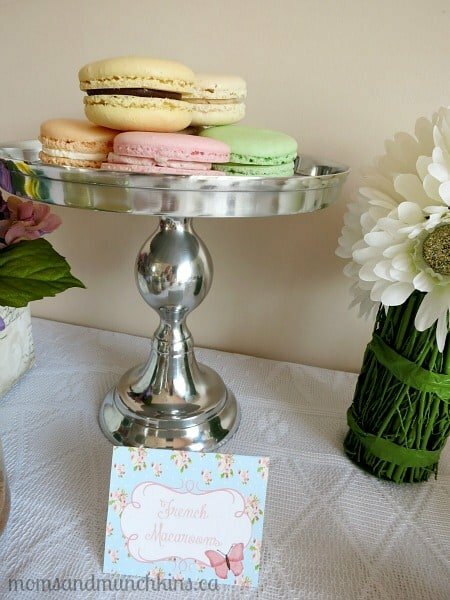 Old wood pieces can be incorporated into various areas of the decor like an old drawer for holding favors, an old bookshelf for photos, wooden boxes upside down as stands for desserts, etc. 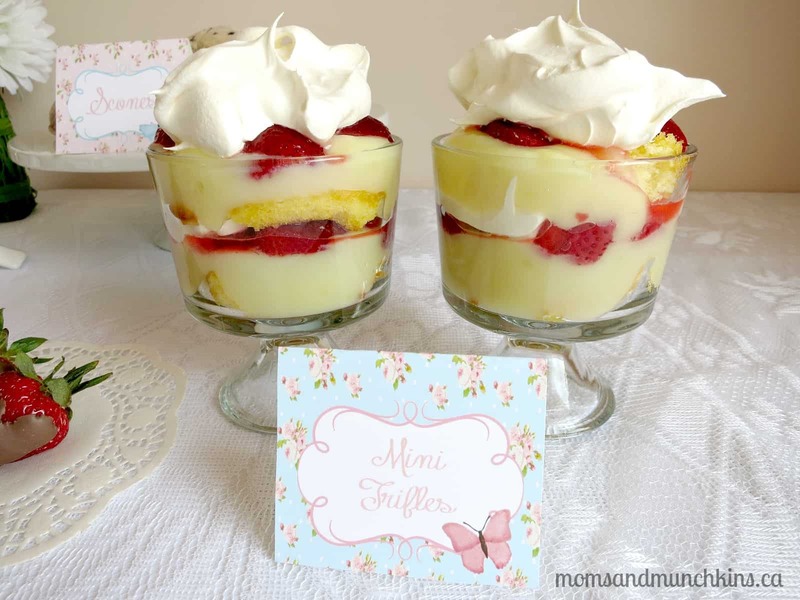 Drinks could include tea served in little tea cups with saucers or lemonade in mason jars with paper straws. 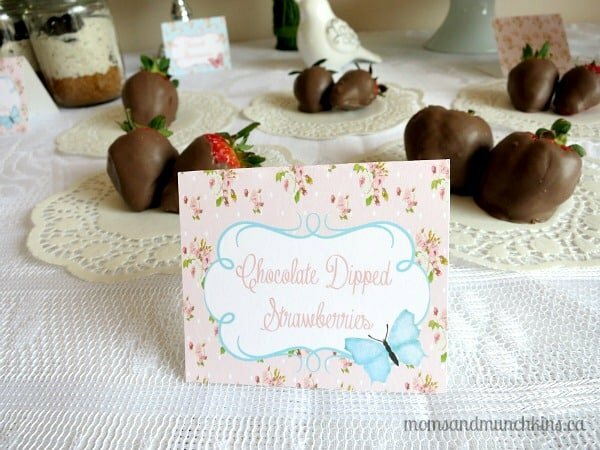 The printable food tent cards match the invitation, banner and favor tags. 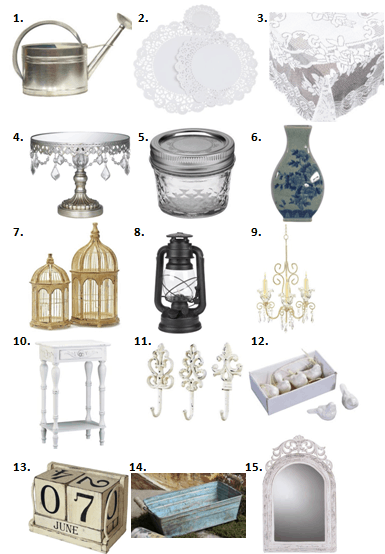 Food can be served on tall cake stands, inside old wooden drawers, on china ceramic dishes and on paper doilies. 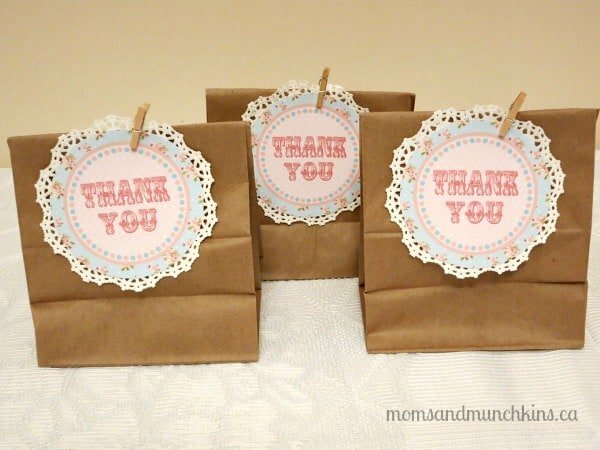 Favor bags for a Shabby Chic Bridal Shower can be as simple as brown paper bags with a personalized favor tag glued to a paper doily and secured to the bag with a mini clothespin. We’re always adding new party ideas! Follow us on Facebook, Twitter, Pinterest and Bloglovin’. *Disclosure: The party printable set was provided to me free of charge. I am part of the Amazon affiliate program. All opinions expressed here are my own. Very cute ideas! My daughter is getting married next year and for her shower we’re using a vineyard theme. Lots of ideas here. Thank you so much, Sandra! I hope your daughter has a beautiful wedding!